More legal professionals search Google for information on tax brackets than any other tax topic. Whether you’re interested in your own tax situation or that of a client, it’s important to understand the basics of the subject. With a tax code numbering in the tens of thousands of pages (73,954), you might think it’s an impossible task to decipher tax brackets. Actually, it’s not that difficult. Of course, different people fit into different statuses related to their tax payments. They different categories are: “single,” “married and filing jointly,” “married and filing separately” or “head of household.” Each of these categories has a different scale but let’s just look at the simplest category first. 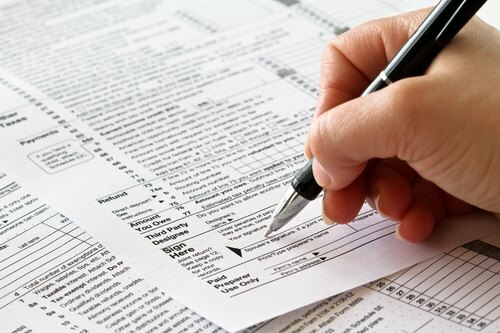 Many people have the mistaken idea that if they earn $100,000, their entire income is taxed at 28% so their tax would be $28,000. That’s not correct. The percentage doesn’t apply equally to every dollar you make. It’s easiest to explain how it does work by showing you the numbers. Total tax owed is $21,175.75—not $28,000. As most people have their taxes withheld from their wages, they may not give much thought to setting aside future tax payments for any additional income they might make. However, that additional income will be taxed at the highest possible rate, so one should start setting aside tax payments as soon as this additional income starts (to make sure you’re not hit with a big—and unwelcome—tax bill in April). For example, let’s say our $100,000 professional starts a side business to provide legal seminars. In addition to his job that pays him $100,000 annually, he picks up an additional $15,000 from his side business. This extra income will be taxed at 28%, meaning that he should be setting aside at least $4,200 for his future tax bill. In addition, his side business income is also subject to self-employment tax of up to 15.3%. The thinking behind the tax codes is that high earners can afford to pay more to the government and still have sufficient money to support themselves and their families. And high earners normally have more charitable donations and other deductions to reduce their tax burdens, anyway. However, keep in mind that these numbers are constantly changing. When you or your clients get around to filing 2015 returns, the numbers will change due to cost of living adjustments. For example, the 10% bracket will extend up to $9,225 for a single person and the 35% bracket will top out at $411,500 instead of $405,100. This is true for every bracket. The Sixteenth Amendment to the U.S. Constitution, ratified in 1913, allowed the federal government to levy a federal income tax. That year, the tax brackets were much simpler. A single person paid 1% on earnings of more than $3,000 per year, and a couple paid 1% on income of more than $4,000. Anyone earning more than the incredible sum of $20,000 per year was subject to a graduated surtax. Due to inflation and additional complexities of the law, today graduated taxes are a part of life for every professional. However, these same tax code complexities also provide ways to significantly reduce your tax burden. As a professional, you can save yourself tens of thousands of dollars each year, but you have to know what they are. Before you do your taxes, make sure they’re looked over by a competent tax strategist to ensure you’re getting every possible deduction and keeping more of your hard-earned money. This article in no way attempts to explain all the intricacies of tax brackets. Tax laws and regulations are subject to continual change, and this especially applies to this area. For example, there are new laws that can apply a sort of “surtax” to individuals at specific income levels under special circumstances. Because of this, I would highly recommend that readers contact their tax professional or our office to inquire about specific situations. Get help now! Use this form and our team will get back with you shortly.